Using method that the Gluten Free Girl and the Chef have provided on their blog to make an all-purpose flour mix, I made up the following flour mix to make the waffles and pancake recipes that will be posted for our Hangover Breakfast series. (These recipes will be posted on April 1st, keep your eyes out for them!) I used a kitchen scale and I used a glass measuring cup zeroed out on the scale thinking that I could give you the cup equivalents. The thing is, it worked out that all the amounts were not a full measurement of anything and were really weird amounts. If you’re going to do any serious gluten free baking, you probably need to get a kitchen scale. This can be used as an all purpose mix, but I chose these flours with waffles and pancakes in mind. To use a regular recipe with this mix, exchange 140 grams of this mix to every 1 cup of regular flour. Makes about 3 1/2 cups of flour mix. 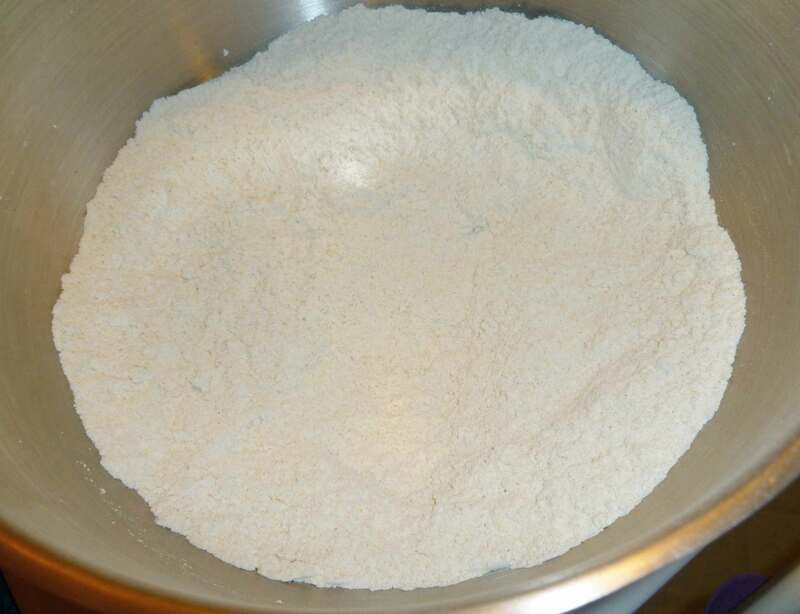 Measure out each of the flours carefully, and place into a large mixing bowl. Using a whisk, mix the flours and starches together until they are very well mixed. Store in an airtight container until you are ready to use it. Enjoy!